Mr. Arthur Lee Golden, 74, of Montrose, Illinois, passed away at 4:10 p.m., Wednesday, June 6, 2018, in Newton, Illinois. Arthur was born on April 4, 1944, in Briceville, Tennessee to Arthur and Delta Golden. He was an oil field worker. 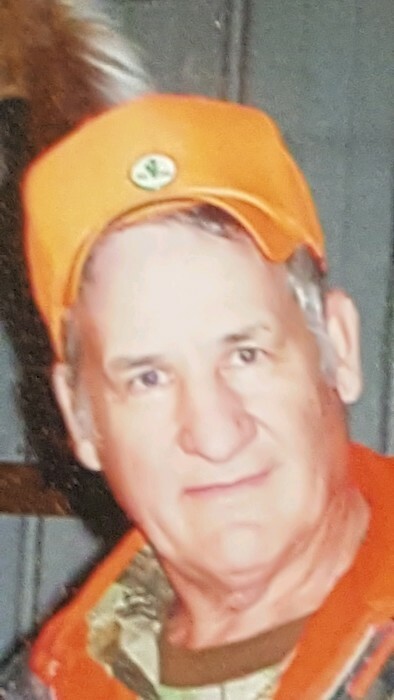 He greatly enjoyed fishing and hunting and truly loved the outdoors. Arthur is survived by his daughter, Paula Glass and husband Charlie of Xenia, IL; step-daughter, Tina M. Gillum of Effingham, IL; step-son, Mike Peyton and wife Whitney of Altamont, IL; brothers, Stanley Golden of IL, Billy Golden of California, Randy Golden of IL, and Lyndle Golden of St. Elmo, IL; half-brother, Glen McCoy of Arizona; sisters, Peggy Flowers of Keptown, IL, Joyce Brown and husband Gary of Missouri, Nettie Houser of Greenup, IL, Wanda Golden of Altamont, IL, Nancy Golden of Altamont, IL, Susie Mehl and husband Stan of Altamont, IL; and 7 grandchildren. He was preceded in death by his parents, Arthur and Delta Golden; daughter, Brenda Lee Golden; granddaughter, Bobbie Golden; one step-grandson; brothers, Mark Golden, Jimmy Golden, Pink Golden and Bobby Golden; half - sisters, Annabelle Ledbetter and Ernest Gilmore, and brother-in-laws, Floyd Ledbetter and Gene Houser. A memorial service will be held at 4 p.m., Saturday, June 16, 2018, at Kohn Funeral Home in Flora, IL. Visitation will be from 2 – 4 p.m., Saturday, June 16, 2018, at the funeral home. Expressions of sympathy should take the form of donations to Autism Speaks or Kohn Funeral Home to assist the family with expenses. Online condolences may be expressed at www.kohnfuneralhome.com.